Vom 14.08.2017 bis zum 15.08.2017 wurden 20 Knowledgebase Artikel veröffentlicht. When you are using VMware vCenter Server 6.0 installed on Windows Server, you experience these symptoms: When you log in to vSphere Web Client, Licensing section is missing under Administration section. There is no selection for Licenses or Reports, you see a blank page. You see this issue for all users including administrator@vsphere.local. In the majority of environments, you must not change VMware High Availability (HA) default settings. However, depending on your specific environment, you must modify some HA options.This article describes the different configuration options available and how to apply them. 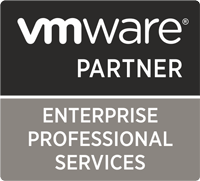 This article provides information to customers about monthly top known issues regarding VMware NSX for vSphere 6.x. By default, if you play a video using a VLC media player or the built-in NeoKylin media player on a Horizon 6 for Linux desktop or Horizon 7 version 7.0.x for Linux desktop, the player window shows black. This article provides information about troubleshooting the VMware NSX for vSphere 6.x Edge appliance. After deploying VMware NSX for vSphere 6.2.x with NSX Edge successfully , you experience these symptoms: Adding a DHCP pool fails You see the error:Invalid host name <name.local>. A valid host name contains only ASCII alphabet, number, hyphen, and dot; total length less than 255 , and each label less than 64. You have created a host profile from a ESXi host which has management vmkernel NIC with static IP and is connected to a Distributed Virtual Switch. You set the auto deploy rule by attaching host profile and provide the new IP address of the host which is about to boot. ESXi host loses the network connectivity when performing a stateless boot from Auto Deploy. On vSphere/NSX-V, IPFIX use the unique sequence number per portset, which is a proxy of a VDS on one host. You may expect that IPFIX uses the unique sequence number per dvs-host. However it does not use the unique sequence number on different hosts, due to the technical reason.